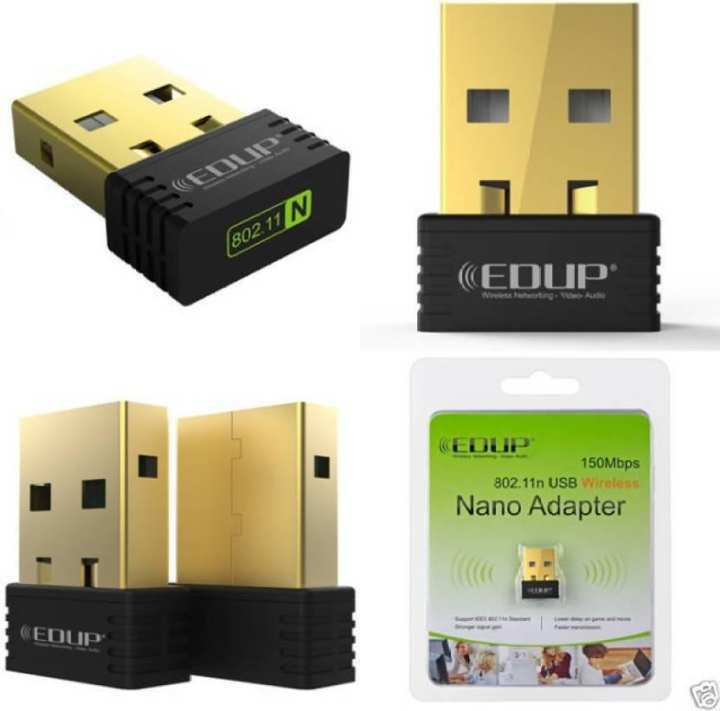 If you are in search of a high-quality USB adapter that will help you connect to the internet with no complications, opt for the highly functional and well designed EDUP mini Wi-Fi Nano adapter. Designed to serve your purpose in the best way, this particular adapter will allow you to connect a notebook, desktop or a computer to a wireless network and get easy access to high-speed internet connection. This adapter needs to be connected to the computer, printer, and other devices so that you can get easy access to internet connection. This Wi-Fi adapter receives signals from a wireless router or other wireless devices and then translates the signal on the computer so that users can get easy access to the internet. vai...amer 2pcs lagbe.... sei jonno ki kortey hobe??? cd driver install dile ki cable sarai wifi cholbe? If I attach this with computer wifi will be auto connected? ?